Philadelphia is a special place, proud & passionate but not arrogant – it's truly a lovely, locals city despite being the biggest in Pennsylvania. Philly is steeped in remarkable history. The bricks of the city have borne witness to the foundations & building blocks of America and an ingrained central philosophy of independence & freedom. The floorboards of Independence Hall, where the Declaration of Independence was signed, have been tread by iconic historical figures such as Abraham Lincon & Benjamine Franklin while the Liberty Bell sits as a marker for the ideals & pursuit of liberty & equality for all. Philadelphia's residents are super-friendly - this is, after all, the city of brotherly love - and the local guides who provide free walking tours, as listed by freetour.com, are no exception. Full of energy and genuine passion for their city, a free walking tour with them to discover amazing history & heritage is an absolute no-brainer. 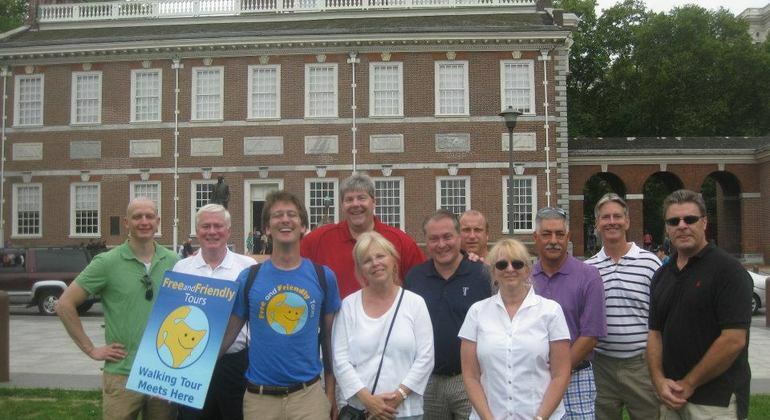 Join them to explore the old town, Independence national Park, Rittenhouse Square park – one of the originals planned by William Penn - the beautiful tree-lined boulevard of Ben Franklin Parkway, Independence Hall & The Liberty Bell, the 72 stone steps Rocky Balboa dramatically scaled as part of his training regime montage, learn the secrets of the city and get great local hints & tips for the best time in Philadelphia.